William Hage was educated in Cambridge and graduated from Nottingham Medical School in 1998. His higher specialist training was in Yorkshire and he entered the specialist register for Orthopaedics in 2010. He spent a total of 18 months in fellowship training in knee surgery with time spent with Mr Steve Bollen in Yorkshire, an internationally renowned surgeon regarded as one of the UK's premier ligament and sports authorities. Further fellowship training was undertaken with Stuart Calder in Leeds at the Chapel Allerton Orthopaedic Centre, another high volume and internationally respected surgeon in the field. 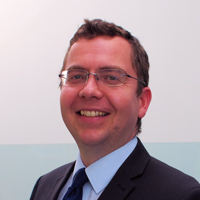 Mr Hage is currently a Consultant Orthopaedic Surgeon at the North Cumbria NHS Trust where his NHS practice is based around The Cumberland Infirmary Carlisle and The West Cumberland Hospital. At all times Mr Hage respects his patients’ desire to recover function quickly and uses the very best techniques in orthopaedic surgery. He regularly attends international and national meetings to keep up to date with the latest techniques, ensuring his patients get the best possible outcomes.